Brewing Yeast-Brewing Yeast-Animal nutrition-Products and services-Shandong SunKeen Biological Engineering Co., Ltd. This product is a type of high-quality single-cell protein obtained by drying cells of the main ingredient – the remaining yeast produced in the process of brewing. It is rich in all kinds of amino acids, Vitamin B, nucleic acids, polypeptides, and abundant dietary fiber required by animals. 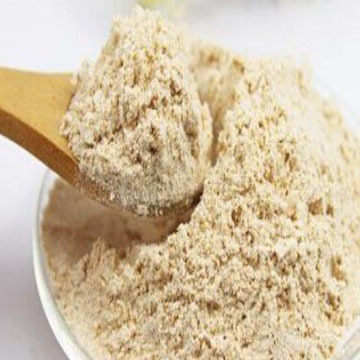 1 This pure yeast protein is natural and healthy, causes no contamination and leaves no residual. 2 Rich high-quality complete proteins make up protein deficiency in feed. 3 It abounds in active components such as Vitamin B, nucleotides, bioactive peptides, and immunosaccharides. 4 Rich in unidentified growth factor, it is beneficial to the good efficacy in growth promotion. 5 With no carrier, it is resistant to high temperature, and can be subject to pelleting. 5 The satisfying performance of the product in natural bonding enhances the adhesiveness of the feed. Application fields: livestock, poultry, aquatic products, pets, ruminants, and other cultured animals. Dosage: for chicken and ducks, 3-5%; for pigs, 4-6%; for aquatic products as prawn, crabs, and fish, 5-10%; for cattle and sheep, 6-8%.